Clean and wash fresh asparagus. 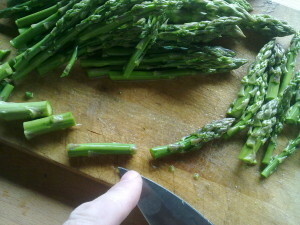 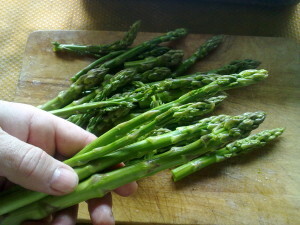 Separate each asparagus in three pieces, if they are small (more tender) in two pieces. 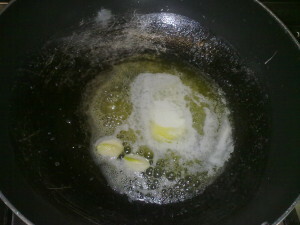 I will use an half extra virgin olive oil and an half of butter (could be 2 spoons of oil and 30 grams of butter). 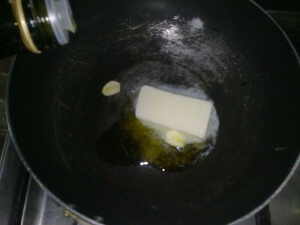 I will melt the butter in the oil at moderate temperature. 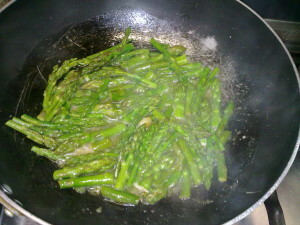 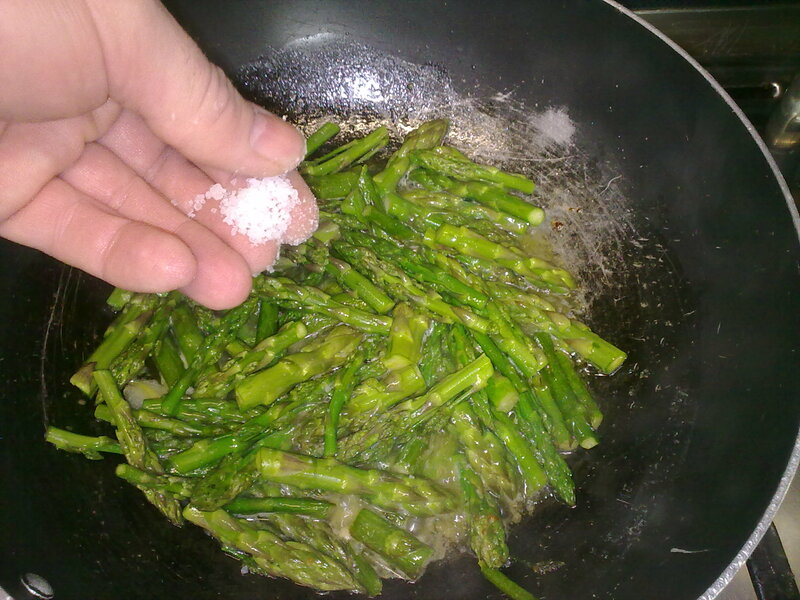 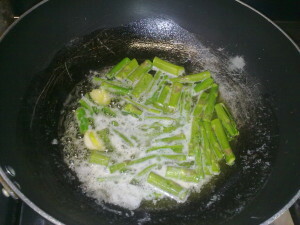 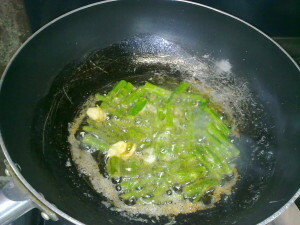 Start to fry the harder parts of the asparagus. 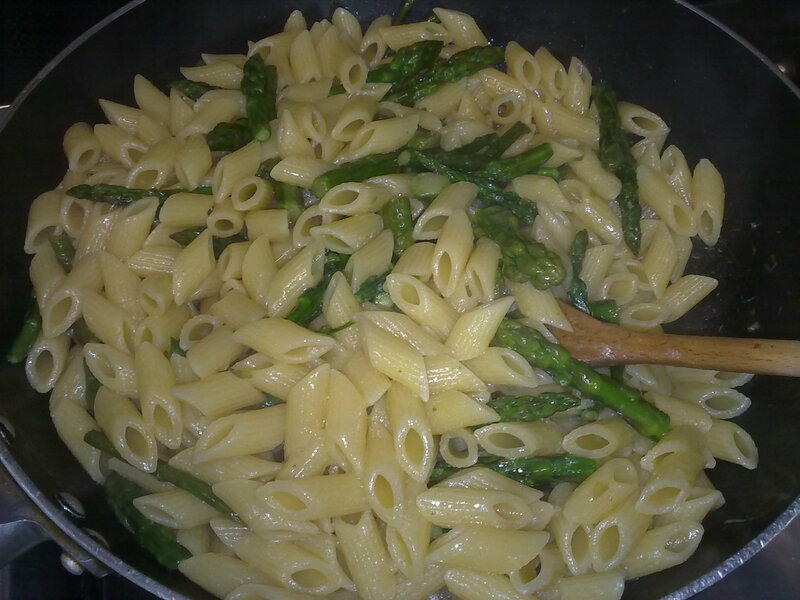 Drop the rest of the asparagus. 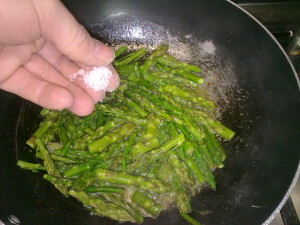 Cook for a couple of minutes then add two pinches of marine salt. 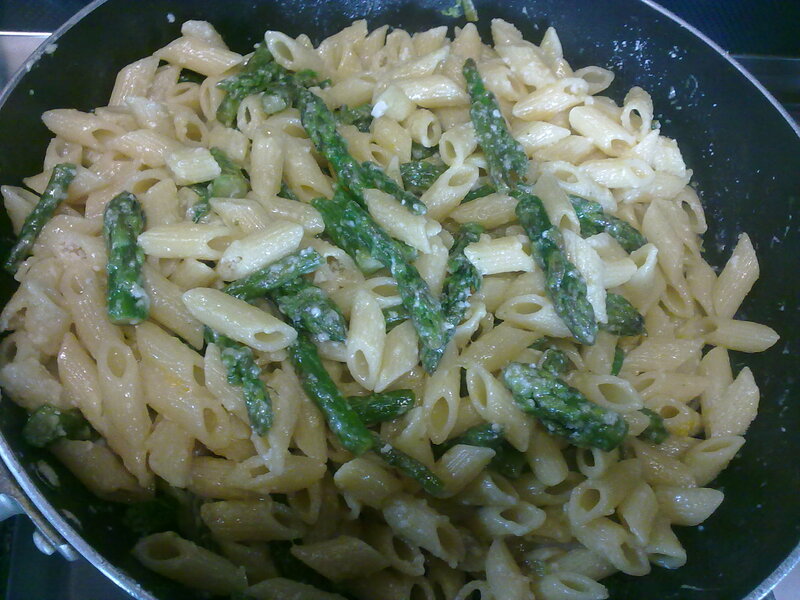 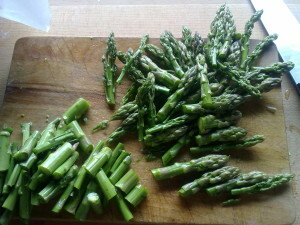 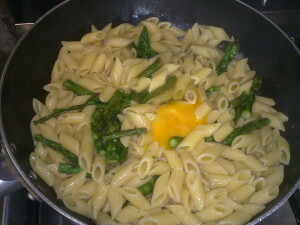 Let the asparagus to fade, it can last five minutes, you can also leave to roast a bit more if you like! 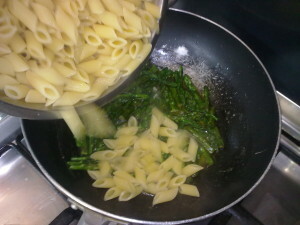 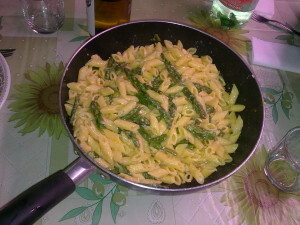 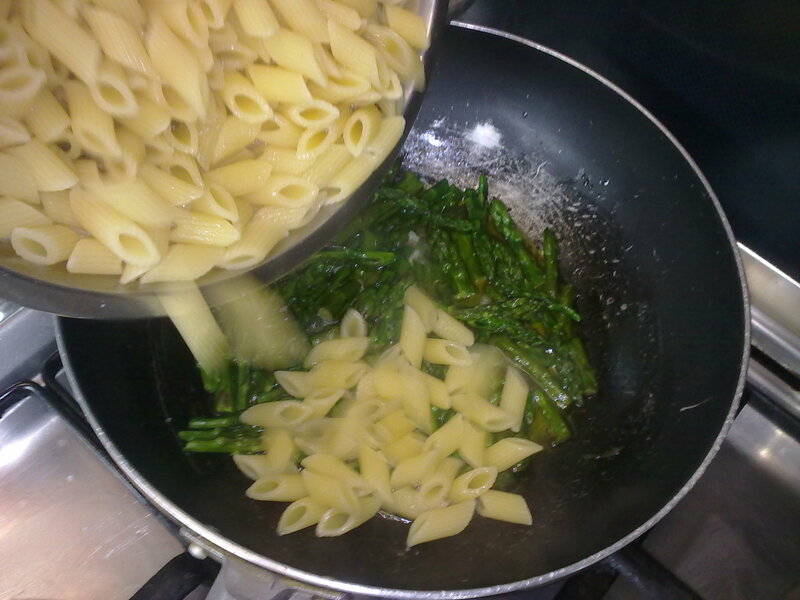 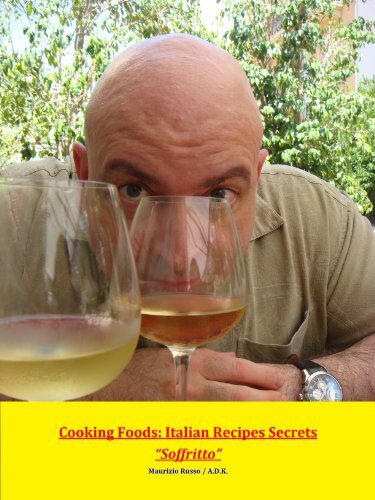 Drop the pasta, already cooked al dente, inside the pan. 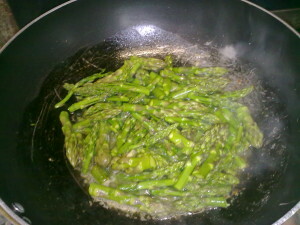 Stir a while on the fire. Break one or two eggs on the pasta. 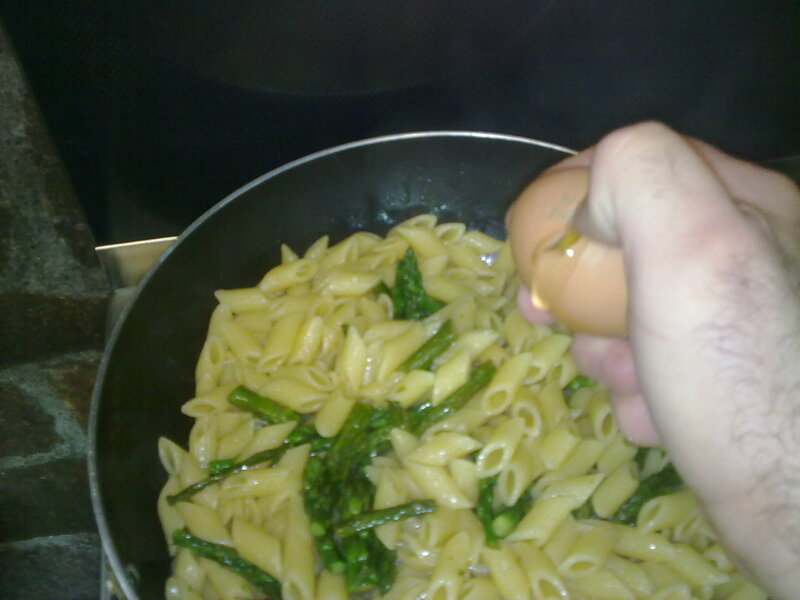 The eggs must be very fresh! Then stop the fire and stir well everything. 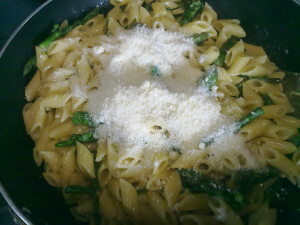 Spread some grated Parmesan cheese on top.